Next year there will be a great chance in Rome to take a look to an important part of Vatican Secret Archives. These archives span almost two thousand years of history with the most part of them being part of the build up of Western civilization. Vatican made available a hundred documents that will be exposed from February to September 2012 at Musei Capitolini. 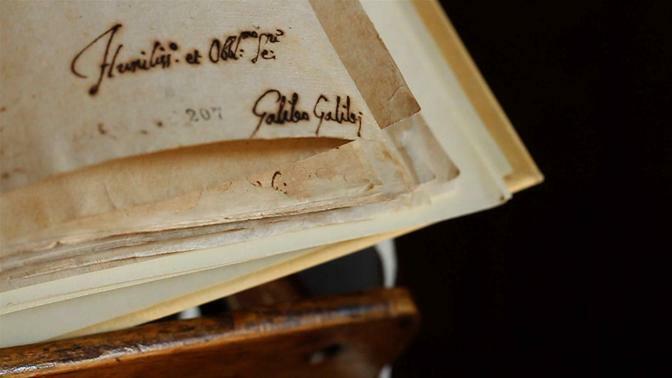 You can see a correspondence between the Church of England and the Pope at the time of Henry the Eighth but what is more interesting for us as physicists is the Galileo’s signature in the abjure document. I give you here the picture of this fundamental aspect of the History and I hope it will convey you some of the feelings I experienced. Of course, being here in Rome, I will take the chance to visit this museum and see directly this exceptional witness. This entry was posted on Wednesday, July 6th, 2011 at 11:42 am and is filed under Events, News. You can follow any responses to this entry through the RSS 2.0 feed. You can leave a response, or trackback from your own site. There is also the oldest Bible. Maybe we see how many parts of it is fabulated? And how many ill deeds the Church has done?